Cambridge University Press, 9780521144117, 457pp. Environmental law has failed us all. As ecosystems collapse across the globe and the climate crisis intensifies, environmental agencies worldwide use their authority to permit the very harm that they are supposed to prevent. Growing numbers of citizens now realize they must act before it is too late. 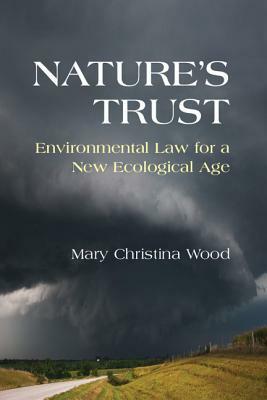 This book exposes what is wrong with environmental law and offers transformational change based on the public trust doctrine. An ancient and enduring principle, the trust doctrine asserts public property rights to crucial resources. Its core logic compels government, as trustee, to protect natural inheritance such as air and water for all humanity. Propelled by populist impulses and democratic imperatives, the public trust surfaces at epic times in history as a manifest human right. But until now it has lacked the precision necessary for citizens, government employees, legislators, and judges to fully safeguard the natural resources we rely on for survival and prosperity. The Nature's Trust approach empowers citizens worldwide to protect their inalienable ecological rights for generations to come.